Placeteco inc. — Thermoformed plastic company: Thermoformed parts and components according to your specifications. Placeteco specializes in thermoforming (vacuum forming) and twin sheet forming of plastic. 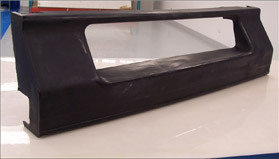 We can form almost any type of plastic, such as Lexan (polycarbonate), Ultem, Kydex, Royalite, ABS, PETG, and others. 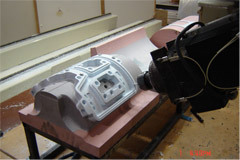 All our tooling is carried out in-house. 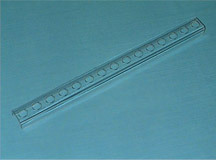 We can use epoxy or aluminum moulds. Our largest thermoforming machine is 4 feet x 8 feet.